FRISCO, Texas (July 13, 2017) – Eight North Texas Soccer referees have received top referee honors based on their performances at the 2017 US Youth Soccer Region III Championships. 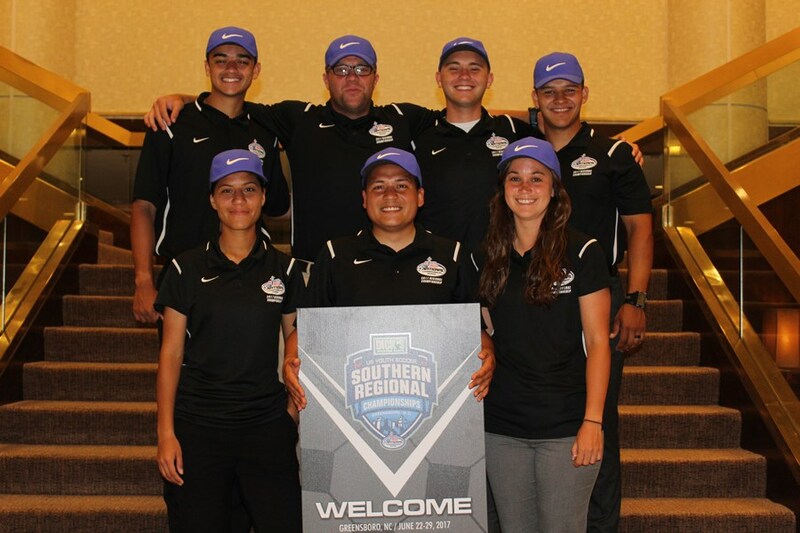 Ethan Frie, Jason Guillen and Cory Mann were awarded as referees, while Marta Flores, Gloria Resendiz-Martinez, Lorenzo Hernandez, Hans Soland, and Lee Hodgkinson were all selected as Assistant Referees. In addition to receiving regional honors, Frie was selected to represent North Texas Soccer and Region III at the 2017 US Youth Soccer National Presidents Cup in Auburndale, Fla., while Hernandez will participate in the 2017 US Youth Soccer National Championships, which begins July 25, 2017 in Frisco, Texas. Soland was awarded the 2016 Young Male Referee of the Year, and you can find out more about Soland here.